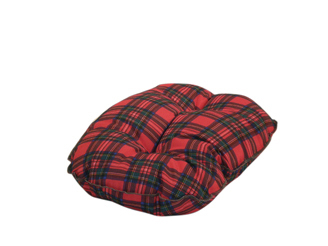 The Royal Stewart Tartan Luxury Quilted Mattress from Danish Design has a rich red base colour which brings a taste of Scotland to your home. This deep filled mattress is made from 100% textured polyester with a deep fibre to give your pet comfort, softness and warmth. Ideal for putting in plastic oval beds. There are currently no questions for Danish Design Royal Stewart Tartan Luxury Quilted Mattress - be the first to ask one!